To be honest, I’m not a big fan of “Hey! 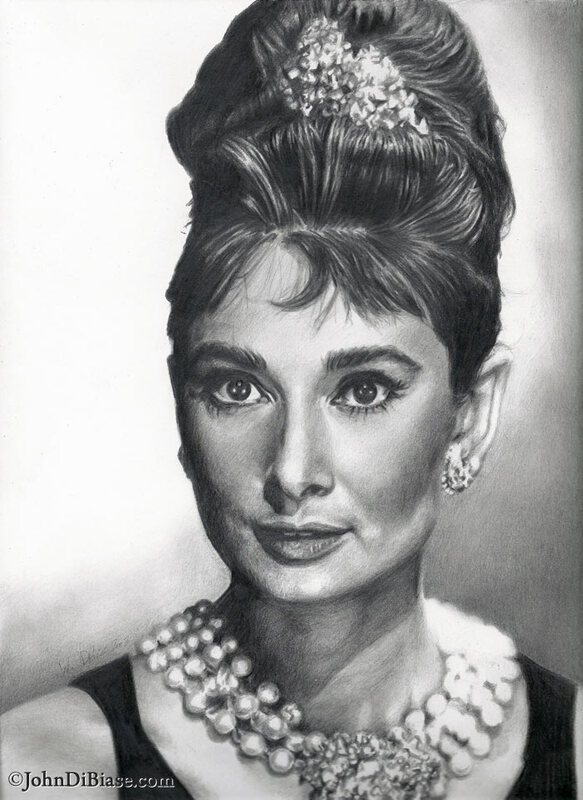 You should draw _____”, but recently someone said that and filled in the blank with “Audrey Hepburn” and I realized “Yeah… that’d be cool!” So here ya go. The first attempt from a different photograph wasn’t panning out, so I trashed it and used a totally different photo for reference. I realized that the first picture I attempted to draw had her face much more washed out with much less contrast with darkness and shadows. Apparently my eyes and fingers thrive on that sort of thing. As I started darkening in the details for this picture, I realized–which was only confirmed by an honest commenter–that something was “off.” So I ended up erasing a good portion of it and adjusting the proportions to try to get Audrey’s likeness locked in tighter. I’m pretty content (if not happy) with the final result!